Jobs of sales and marketing often come with targets. 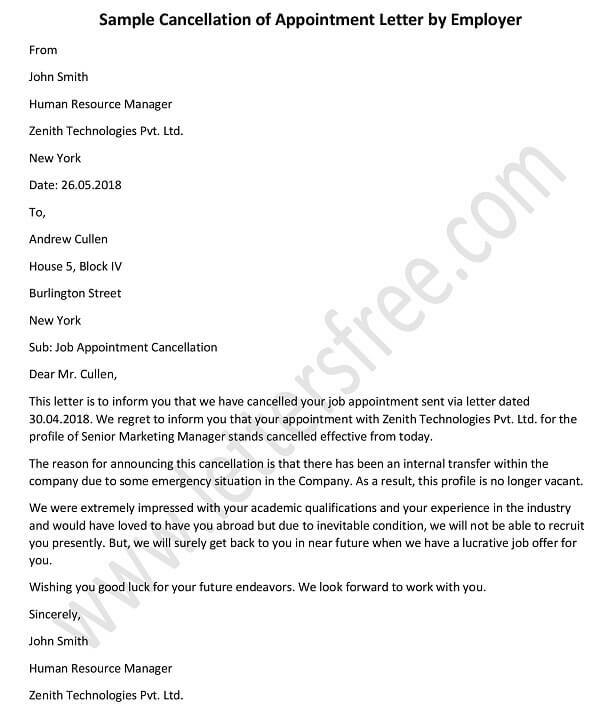 Being the HR Manager of your company, if you have to write a sales executive letter of target based offer letter for marketing executives then it has to have the mention of monthly or quarterly targets for the candidates. 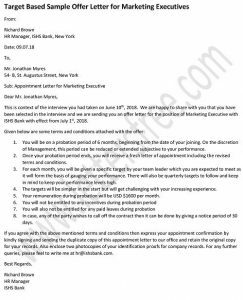 Whether it is an appointment letter for marketing executive or offer letter for the post of marketing manager, it is essential to mention the targets in Appointment Confirmation Letter. 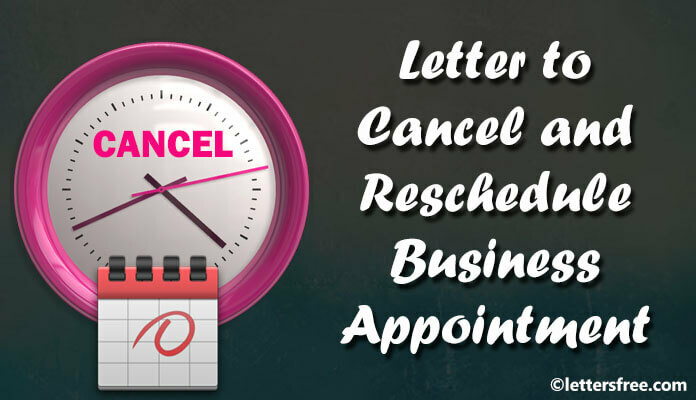 These kinds of letters are often reverted with Appointment Thank You Letter. 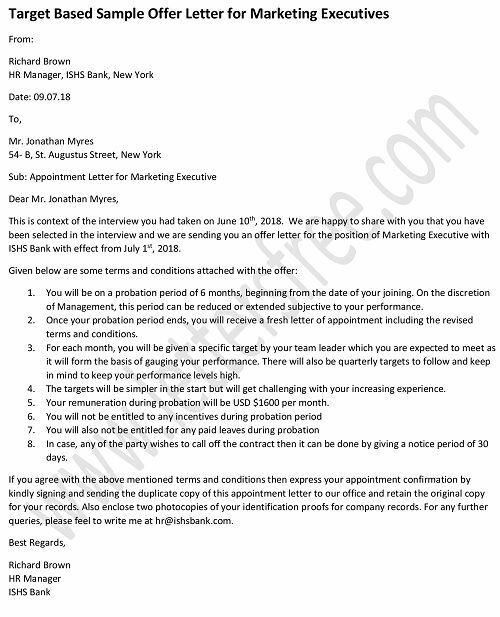 Given below is a target based appointment letter sample for marketing executive. 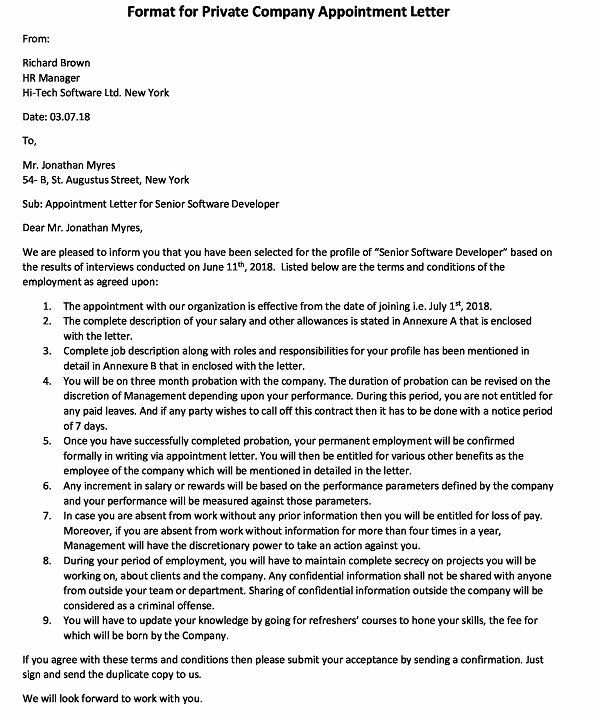 Use this business appointment letter example by customizing the terms and conditions. This is context of the interview you had taken on June 10th, 2018. We are happy to share with you that you have been selected in the interview and we are sending you an offer letter for the position of Marketing Executive with ISHS Bank with effect from July 1st, 2018. You will be on a probation period of 6 months, beginning from the date of your joining. On the discretion of Management, this period can be reduced or extended subjective to your performance. Once your probation period ends, you will receive a fresh letter of appointment including the revised terms and conditions. For each month, you will be given a specific target by your team leader which you are expected to meet as it will form the basis of gauging your performance. There will also be quarterly targets to follow and keep in mind to keep your performance levels high. The targets will be simpler in the start but will get challenging with your increasing experience. Your remuneration during probation will be USD $1600 per month. In case, any of the party wishes to call off the contract then it can be done by giving a notice period of 30 days. If you agree with the above mentioned terms and conditions then express your appointment confirmation by kindly signing and sending the duplicate copy of this appointment letter to our office and retain the original copy for your records. Also enclose two photocopies of your identification proofs for company records. For any further queries, please feel to write me at hr@ishsbank.com.